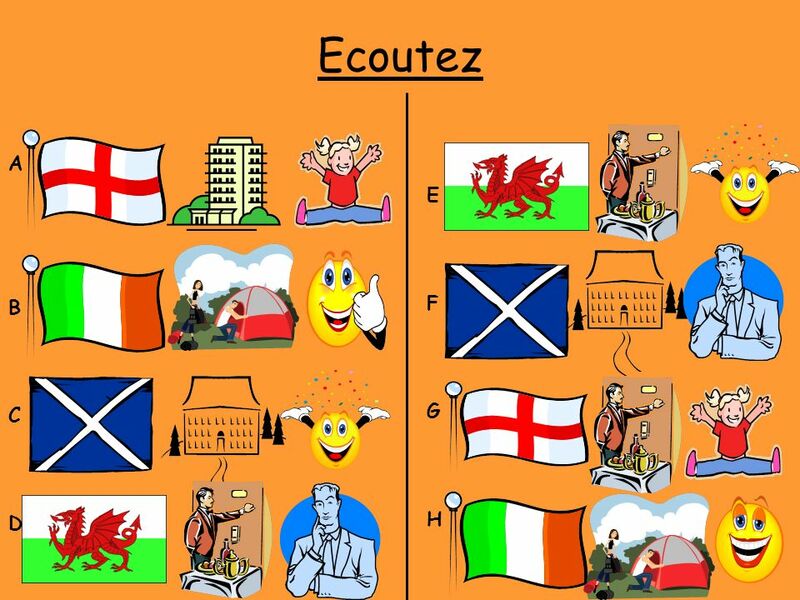 Je suis allé(e) au / à la…. 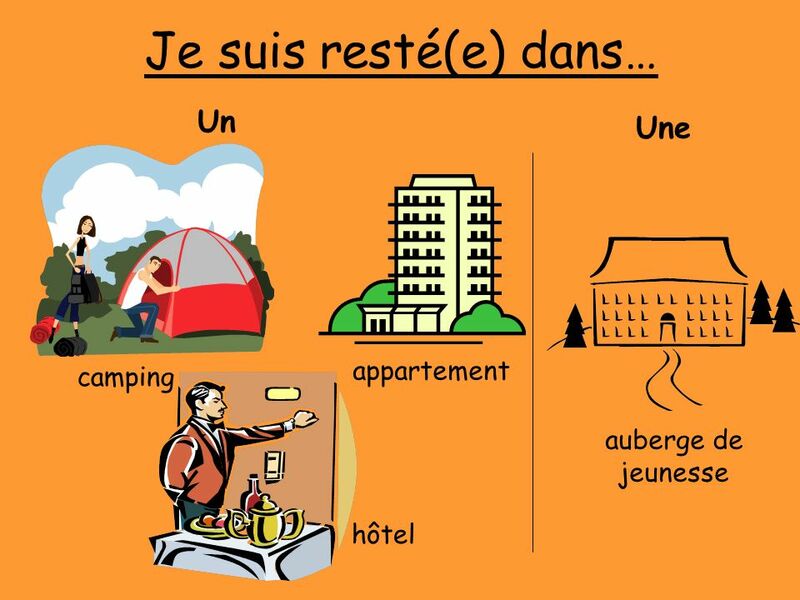 Je suis resté(e) & Cétait Le but: In this lesson you will be learning how to say where you stayed on your holiday. Also we. 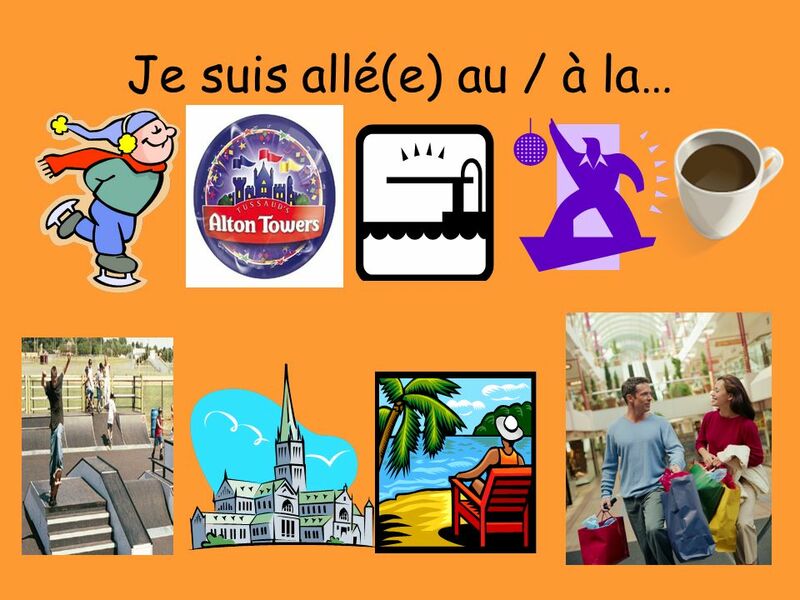 2 Je suis resté(e) & Cétait Le but: In this lesson you will be learning how to say where you stayed on your holiday. Also we will be learning how to say what we thought of our holiday. 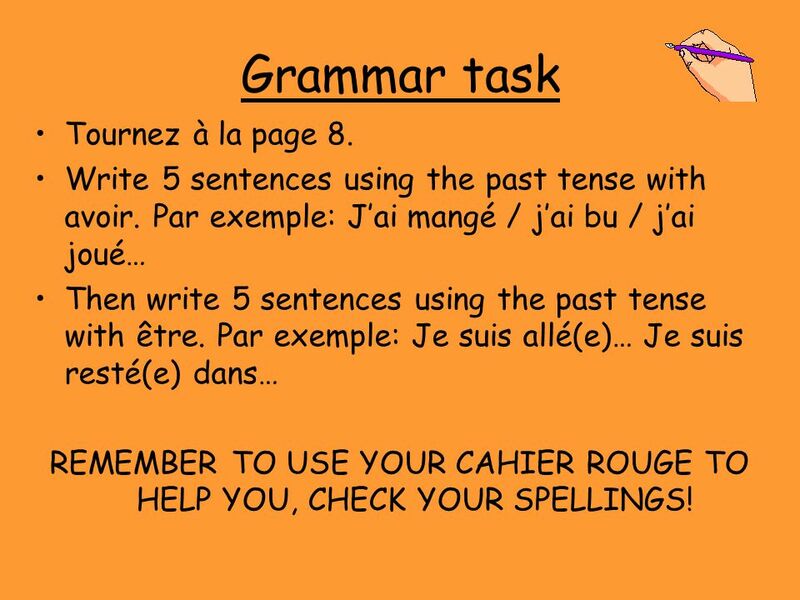 13 Grammar task Tournez à la page 8. 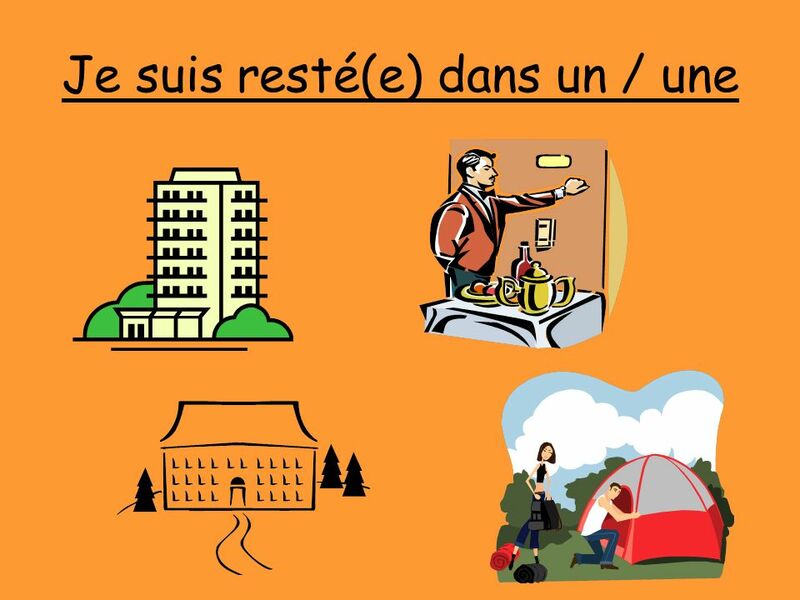 Write 5 sentences using the past tense with avoir. 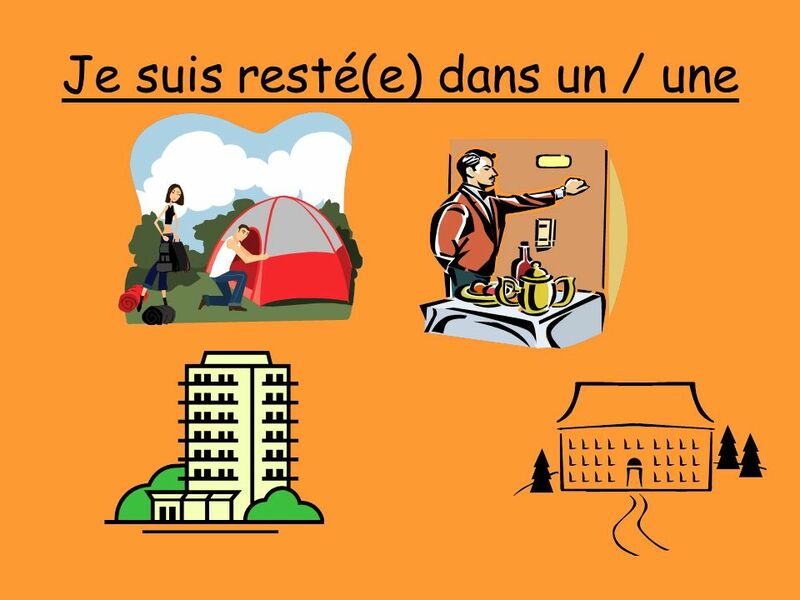 Par exemple: Jai mangé / jai bu / jai joué… Then write 5 sentences using the past tense with être. 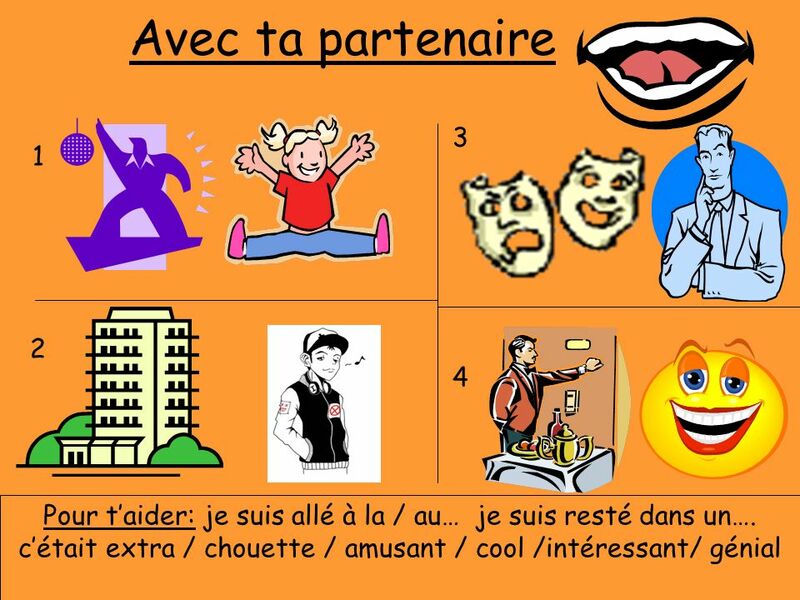 Par exemple: Je suis allé(e)… Je suis resté(e) dans… REMEMBER TO USE YOUR CAHIER ROUGE TO HELP YOU, CHECK YOUR SPELLINGS! 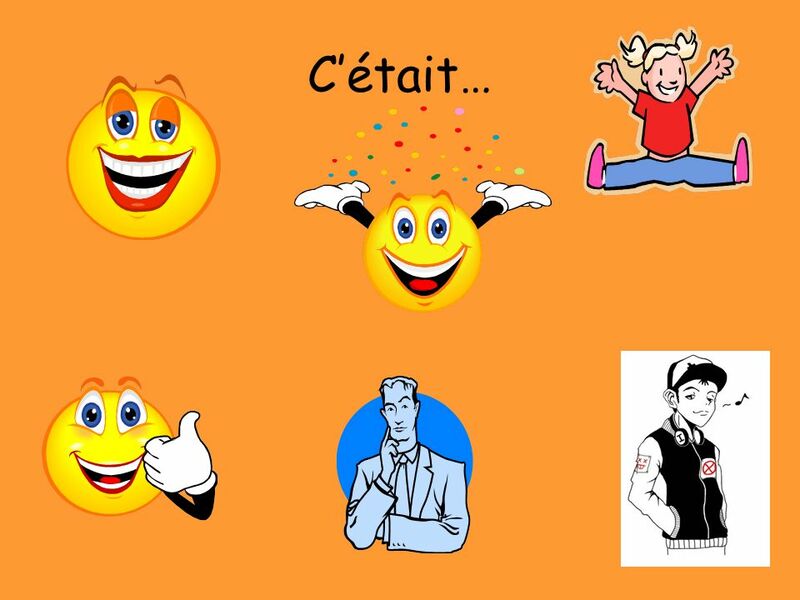 Télécharger ppt "Je suis allé(e) au / à la…. 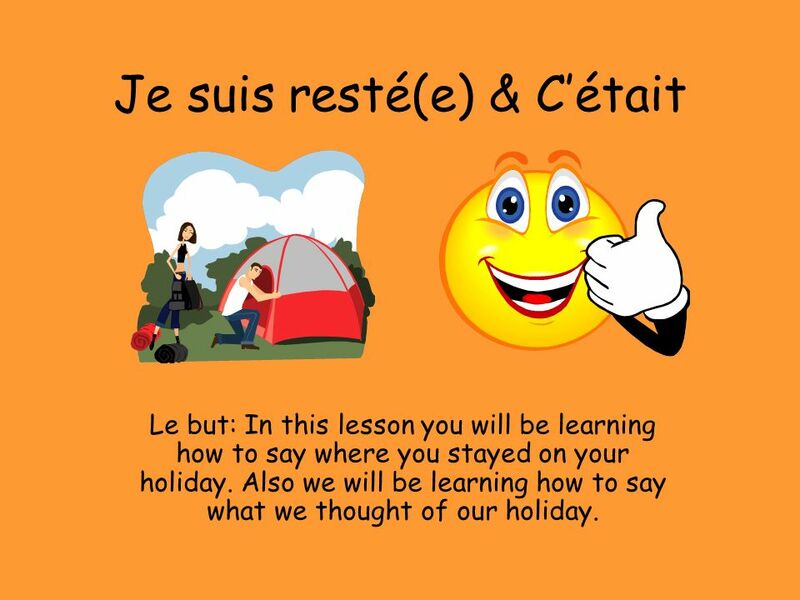 Je suis resté(e) & Cétait Le but: In this lesson you will be learning how to say where you stayed on your holiday. Also we." IN THIS LESSON YOU WILL: 1.Revise vocabulary on parts of the body 2. Learn how to say whats wrong with you / what hurts. You need to prepare a speaking presentation on school and future plans. You will be marked on your pronunciation, fluency, accuracy, how much you say and. Mes projets pour les vacances Higher pg130. 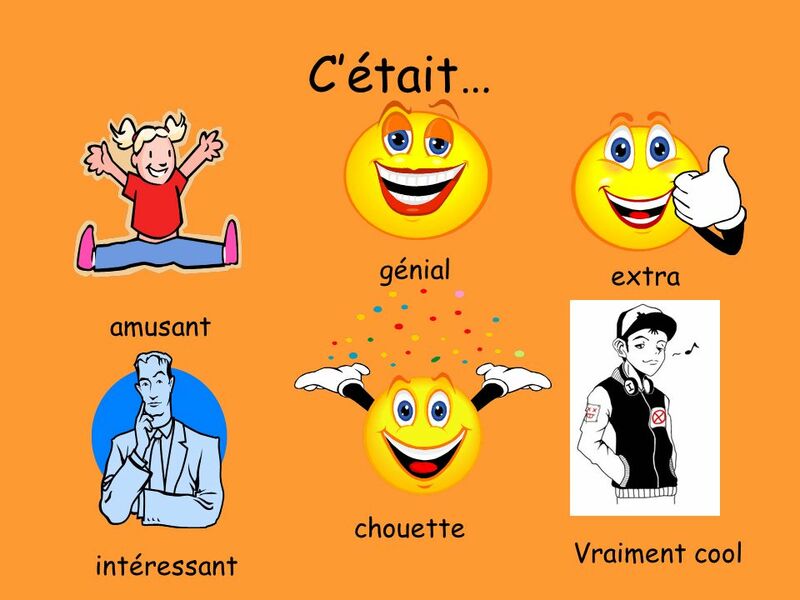 Pour commencer: Spot the future tense. Je voyage en avion Je resterai dans un hôtel Jai mangé une pizza Jy. Chapitre 2: Bienvenue à Chartres! Kirsty et Shannay 9F1 FCSE Leisure. PRESENT Jaime la danse. Nous dansons et écoutons de la musique. Cest super. 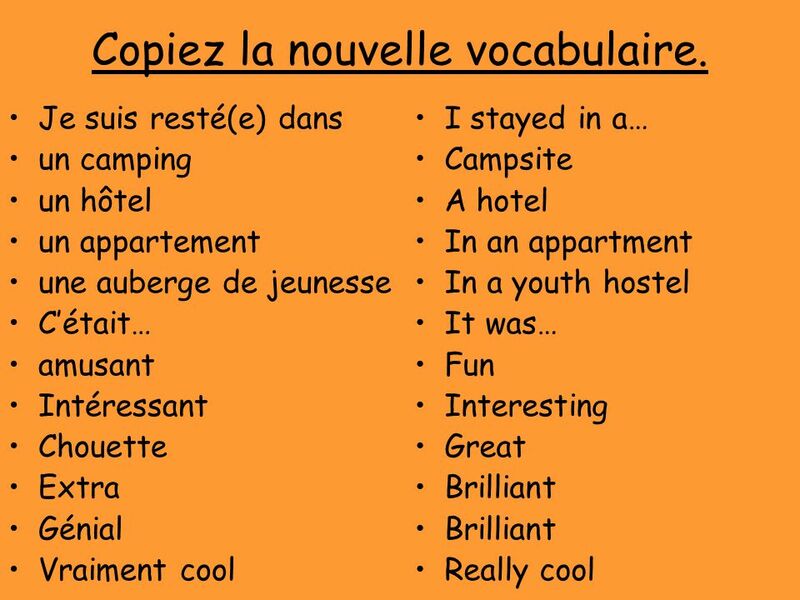 Lhébergement L/O: To be able to talk about where you stayed on holiday & give an opinion of the accommodation STARTER: Rearrange the words to make sentences.